The Core Group, founded in 2004, has diverse experience in general contracting due to their projects with some of the biggest industry players in technology and health. The firm builds for clients in the technological and medical sectors, including research labs. Their clients include Google, Intuit, eBay, AstraZeneca, Theranos, Yahoo!, VMWare, and Stanford. The firm operates in the San Francisco Bay Area and constructs projects upwards of $20 million.. The firm was voted twice for the years 2015 and 2016 as one of San Francisco Bay Area’s Top Workplaces. Dettaglio Construction, Inc. is a full-service general contracting firm based in San Francisco. Its builders have four decades of experience in constructing in multiple sectors including commercial construction. DCI was founded by Todd Dimartino,who was also the initial founder of Skyline Construction in 1996. Dimartino currently leads the firm as president.. The firm focused its work in the Bay Area. DCI has completed projects for marketplace lender Funding Circle, Wingtip, Industry Ventures, and completed 8,700 sqft of tenant improvement for Nichols Booth Architects – also a frequent partner to the firm. 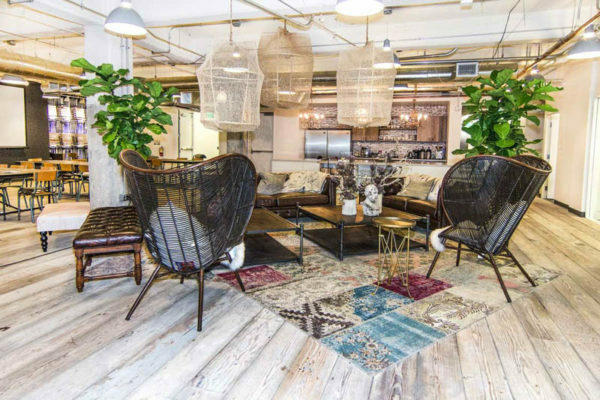 The firm completed an extensive tenant improvement project for Minted covering 33,538 sq ft. DCI also completed projects for Amazon Advertising and a full-floor tenant improvement in collaboration with Fennie + Mehl Architects. 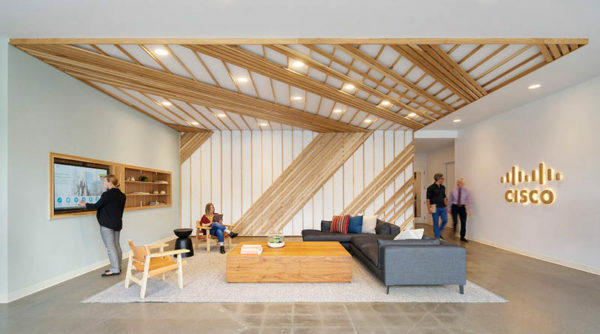 The firm’s work in collaboration with O + A Architects for Minted was featured in Tech Crunch, where it was noted that it was a visually-stunning street office. Swinerton is a 100% employee-owned company that dates back to 1880’s Los Angeles. Over the years, the firm developed a culture of collaboration and success. Swinerton aims to become the preferred builder in every market, and offers their employees opportunities for ongoing learning and development. The firm’s portfolio consists of many high-profile clients and projects. 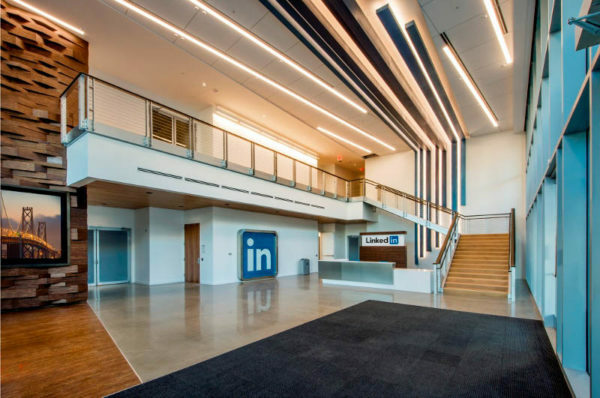 Swinerton worked on the LinkedIn headquarters in San Francisco in collaboration with Interior Architects, which is projected to be LEED Platinum Certified. The firm also worked on tenant improvements and seismic upgrades for CNET HQ, and the Bank of New York Mellon in San Francisco. The firm can also count Pillsbury, WebMD, Google Boulder, eBay, Verizon, Aecom, and Agilent Technologies as among their clients. The firm offers full-service general contracting management for various projects including ground-up, small tenant improvement, and LEED-certified green building construction. The San Francisco Business Times named the firm as one the fastest growing private companies of 2017. In addition, the firm received the 2018 CEA Award for Excellence in Safety and President’s Award. OPI Commercial Builders built their reputation in Silicon Valley by completing projects for the top, industry-leading clients; the ‘marquee tech’ companies. Currently headed by Jon Persing, the firm’s projects range from interior models, clean rooms, offices, and biotech facilities. OPI Builders has completed projects for PMC Sierra, Porcelanosa, GoDaddy, Floodgate, GAIA, Weathergage, One Workplace, Womble Carlyle Sandridge and Rice, and the corporate headquarters for Prologis, a leader in logistics real estate. The firm also completed projects for tech and biotech companies such as Amprius, Pacific Biosciences, PMC Sierra Lbs, and Arriva Pharmaceuticals, among others. The firm offers full-service construction, ranging from pre-construction, construction services, and construction closeout. The firm’s services include LEED Coordination, continual cost control, warranty coordination and enforcement, and lien release procurement, among others. The firm’s work has appeared in The Mercury News, The Registry San Francisco, and in the Bay Area Building Management Resource guide. he firm was a finalist for the Best Reuse/Rehabilitation Project 2013 by The Silicon Valley Business Journal’s Structures Awards, a finalist in the 2013 Structures Redevelopment Project, and their One Workplace project received a slot in Designboom’s Top 10 Workplaces in 2013. Richlen Construction, founded in 1978, is a full-service general contracting firm in San Francisco. 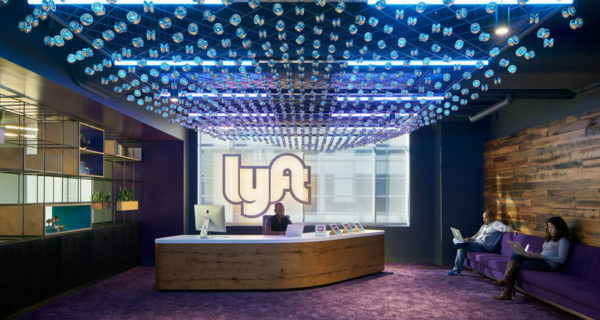 The firm built base building projects for Union Bank of California and GME, did tenant improvements for 360 in 22nd street, Enernoc, the Hitachi Executive Center in Santa Clara, and a full-building restoration in Brannan St, among many others. The firm offers an array of professional services, from collaborative planning, pre-construction services, to the execution of the building plans, until successful delivery. 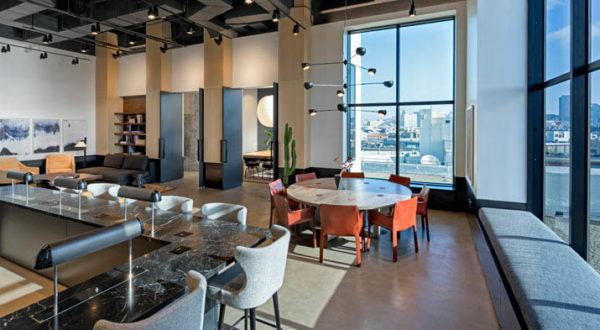 The firm won the Commercial Interiors Contractors Association Award for their work on a Bay Area building lobby, and many of their projects have higher LEED certifications. SC Builders is a commercial general contractor based in Sunnyvale with an office in San Francisco. Their diverse resume of work includes the top technology firms in the Bay Area as well as mission critical, life science, and institutional clients, ranging from corporate interior projects of all sizes to major data center development projects. The firm’s broad range of clientele includes companies such as Google, Slack, Facebook, Sony, Synopsys, GitHub, Hitachi, Instagram, Oculus, Intuit, Oracle, RealPage, Walmart, and Toyota, among others. SC Builders was Facebook’s first general contractor and has managed large-scale construction and tenant improvements for them consistently since 2007. Other projects include Qualcomm’s 260,000 sq ft space in Santa Clara, two ground-up office buildings for Oracle in Santa Clara (120,000 sq ft total), and over 75 projects for Sony Entertainment, including their headquarters in San Mateo (three five-story-buildings, 450,000 sq ft total). Sam Abbey and Chris Smither founded SC Builders in 1999. With decades of experience, the firm specializes in high-profile projects in the corporate, life sciences, and mission-critical sectors, as well as institutional clients such as churches and emergency service providers. Their work has appeared in Office Lovin’, Q Magazine, Architectural Record, and Architectural Digest. Their passion for building keeps them motivated and inspired to take on new challenges and succeed. Devcon Construction is the largest general contractor in Silicon Valley according to the Silicon Valley Business Journal. The company lists Netflix, Levi Strauss, LinkedIn, Hitachi, Yahoo!, Franklin Templeton, NetApp, Cisco, and Aruba Networks in its portfolio of projects. 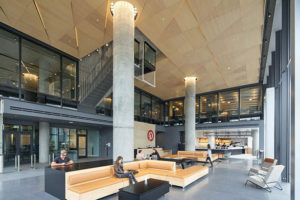 Notably, the firm worked on tenant improvements of two buildings – both at 80,000 sqft – currently housing Netflix, the global streaming service. Devcon also built the 18-story building which belongs to Adobe Systems in San Jose and the massive site of Cisco in Milpitas and San Jose. Devcon was founded in 1976 as a developer-contractor by a group of entrepreneurs and has since worked on building workplaces for leading companies in Silicon Valley. Gary Filizetti currently oversees the Construction and Design departments. Their portfolio also includes hotels, sports stadiums, schools, shopping centers, and data centers. The firm is an early adopter of green building – many of their projects have silver, gold, and platinum LEED certifications. Today, the firm offers full-service general contracting services and tenant improvement, among others. Devcon’s high-profile projects have earned them accolades such as the 2018 Silicon Valley Business Journal award for Green Project, Urban Infill, and the 2017 Gold Nugget Award, and a citation in the 2015 Silicon Valley Business Journal. Truebeck Construction, founded in 2007, sets out to improve the construction process and elevate building standards, or in other words, “disrupt the ordinary”. The firm has built projects for notable industry leaders such as Facebook, Uber, GitHub, and MemSQL. In collaboration with Gehry Partners, the firm worked at the Facebook MPK 22 buildings at Menlo Park, covering 457,000 sqft of space for a four-story building, an eight-story building, and a parking garage. Another high-profile project for the firm included the all-glass building for ride-hailing service app Uber in Mission Bay, as designed by SHoP Architects. The area covers all 450,000 sqft of ground up and tenant improvements. Truebeck also built offices for Life Technologies, Evault, Redhat, Alexandria Real Estates, Rock Health, 1Tenth, Onyx, and a GitHub office that has a replicated White House Oval Office as a lobby. 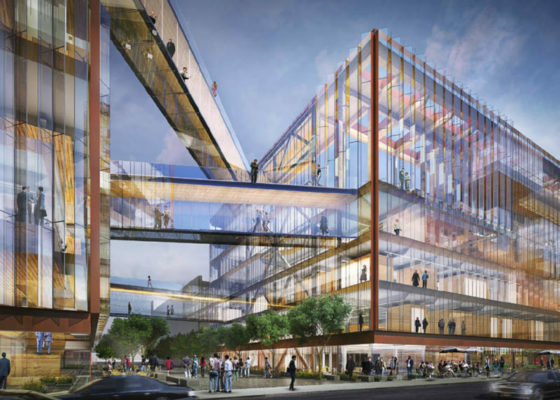 The GitHub won an ENR award for Best Project in 2014. Their Mozilla office also won an ENR award for Best Project. Truebeck offers pre-construction, interiors, virtual design, and construction, among others. The San Francisco Business Times named the firm as the Top Corporate Philanthropist in the Bay Area. 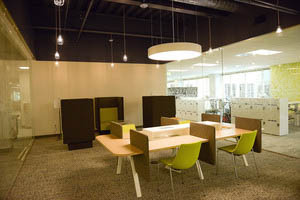 The firm’s works appeared in the San Francisco Business Times as one of the Top 10 General Contractors in Greater Bay Area, was named one of the Best Places to Work, and received nominations for two 2017 International Interior Design Awards for their work on a pharmaceutical corporate office and a clinic. The firm was also noted for their marketing excellence, garnering the Society for Marketing Professional Services Marketing Communications’ Award of Excellence in 2017. NOVO Construction is one of the most in-demand contractors for startups in San Francisco. Having built offices for Pinterest, Yelp, Lyft, Box, Malwarebytes, and Indeed, the firm is a natural choice among those who wanted to have modern, sharp-looking, and iconic workplaces. Founded in 2000, NOVO offers services in the areas of tenant improvements, data centers, laboratories, and manufacturing. It currently has a bonding capacity of $350 million. Their work for four-floor Pinterest – a craft interest social media site – office won an American Architecture Prize for Workspace in 2016. The office features large open spaces, the complementary blending of white walls, wood accents, and pops of color. NOVO built the office spaces of health-specific clients such as Biomed, Biomarin, Cepheid, and Stemcells. The firm is working on Survey Monkey’s office in San Mateo, California. The firm is committed to ensuring strong client service, high quality, efficiency, and cost-effective resource management. NOVO currently maintains campus presence in Apple, AirBNB, Amazon, Citigroup, Google, Novartis, Dell, LinkedIn, and Nvidia. BCCI Builders, founded in 1986, offers full-service construction management with focus areas of structures and design. BCCI Builders can count Forbes Media, Accenture, Adobe Systems, Bosch, Cisco Systems, Insightly, Skype, Mozilla, Nitro, Gree International, Expedia, and Google among their clients. The firm built or improved upon the workplaces of such clients with a strong emphasis on modernity, including high ceilings, integrated style, and functionality. Firm president and CEO Michael Scribner provides the general direction and strategic vision of the company, while Dominic Sarica, COO, has extensive experience in real estate, construction, and architecture, being an architect himself. Together, they carry more than two decades of experience in the industry. Today, BCCI is one of the top 25 largest commercial contractors in the Bay Area. They offer new building construction, renovations, tenant improvements, seismic upgrades, and sustainable options. The firm was included in the ‘Best Places to Work in the Bay four years in a row by the San Francisco Business Times and San Jose Business Journal, and received the Building of America Award in 2009. Since their first contracted work for Argo Systems in Sunnyvale in 1990, DPR Construction has obtained over $1 billion in revenue, and has completed more than 10,000 projects, including landmark buildings for notable clients such as DreamWorks New Animation Studio, Barclays, and Autodesk. The firm, co-founded by Doug Woods, Peter Nosler, and Ron Davidowski, incorporates smart construction and sustainable designs in their projects. Their focus has always been to bring integrity in all their undertakings. In the words of the firm, “Our purpose and core values are a starting point that helps clearly define whom we stand for as a company. They underlie the passion that drives us to be better and different: they allow us the freedoms of our entrepreneurial organization, where people can make a difference with their ideas and hard work”. DPR Construction has also worked on tenant improvements and expansion for Piper Jaffray, the Weather Channel, Clif Bar, Gunderson Dettmer Law Office, Gray Cary Ware, Freidenrich, Baker & McKenzie, Degenkolb Engineers, and Allsteel/Gunlocke. The firm’s best-known work consists of modern layouts, wide hallways, and clean-cut finishes. The firm received the ENR California Best Project recognition in 2017, was named the second best place to work in a large company in Bay Area by the San Francisco Business Times, won various awards such as the Project of the Year-International, the Technology Award, the People Choice Award, and several Merit Awards from the International Interior Design Association, among many others. The firm has appeared in numerous publications including the San Francisco Business Times, Discovery Channel, and the Atlantic. Hathaway Dinwiddie’s rich history dates back to the 1900’s, since the construction of the Jackson Tower in 1911. The firm grew to become one of the most prolific contractors in San Francisco, counting industry-leading clients such as Agilent ARK, HealthRIGHT360, Digital Realty, Polycom, Del Monte Foods, Morrison & Foerster, Charles Schwab, Bank of the West, and Sales Force as their own. The firm also built the Genentech Inc. Corporate Campus in South San Francisco, the FibroGen Headquarters, the Keker and Van Nest Office in San Francisco, and tenant improvements for Pinterest. Hathaway Dinwiddie provides full general contracting services for commercial, improvement, and renovation projects with a size range of 1,000 sqft to 1,000,000 sqft – ground up or core shell. The firm builds sustainable structures. President and CEO Greg Cosko, a long-time employee before taking the reigns, is responsible for the overall direction of the organization. The firm takes a combined approach of precision planning, proactivity, and adaptivity to each of their projects. Engineering News Report named Hathaway Dinwiddie as the ENR California Contractor of the Year in 2016, and awarded the Presidential Award of Excellence in Engineering. 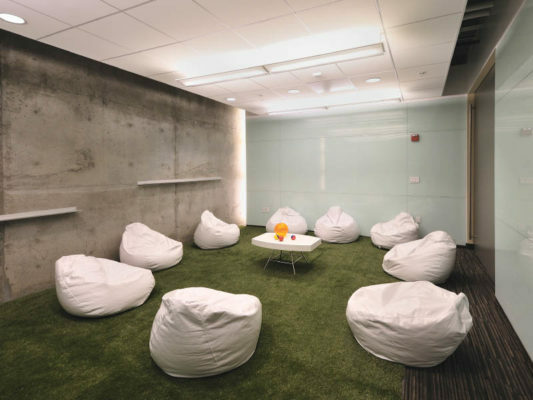 The firm also received numerous IIDA Honor Awards for their work in SAP-HanaHaus and Twitter One 10th Headquarters. Skyline Construction has a variety of construction services to offer clients. Under leader Sean Holliday, the firm undertakes tenant improvements, installation of infrastructure systems, and ground-up construction of workplaces for different industries, in addition to hospitality projects. The firm has a bonding capacity of $300 million. 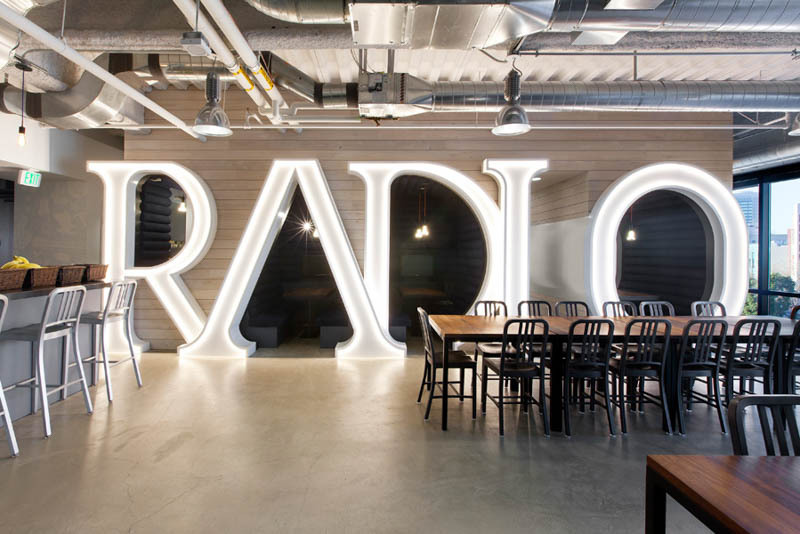 Skyline Construction also built the headquarters of Pandora, Invisalign, and pharmaceutical company Medivation, which required them to demolish and rebuild all five floors of a San Francisco building. Skyline Construction was named one of the Best Places to Work in the Bay Area, included in the Wall Street Journal’s Winning Workplaces and in the Top 25 Commercial Contractors. The firm appeared in the Top 100 Fastest Growing Businesses in the Bay Area and received the Bank of America Platinum Service Award.